Apparel brand Life Is Good pours on the power of positive thinking in an unusual stunt that harnesses happy thoughts—well, brainwave patterns, actually—to turn on a tap and fill a glass of water. Hey, people. Advertising might not be rocket science. But sometimes, it’s neuroscience. Or something. 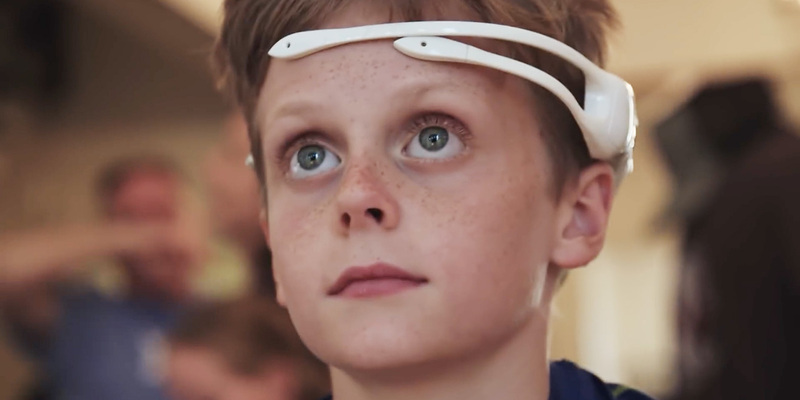 The machine worked by recording the brain activity of subjects when they were asked to think happy thoughts or observe positive positive stimuli on a video monitor. Each time users reproduced that type of brain activity, the device used Ardunio and Bluetooth technology to turn on the tap. Since the system was just searching for a repeated pattern, folks could game the system by saying they were thinking positive thoughts while running all kinds of nasty images through their heads. “If someone associated nasty murder thoughts with positivity—Dexter much?—that might trigger the same neuro-activity as someone else’s day on the beach, and therefore trigger the machine,” says Andy Wadsworth, executive producer ay Thinkingbox. However, since the subjects were Canadians, from the lauded Land of the Nice, such notions surely never crossed their minds, eh? Personally, we prefer machines that produce bigger payouts of happiness, with no mental effort required.